I am looking for some information on James Mathis who married Girliean Cook. Do not have any dates for birth or death of either of them. youngest or in the middle), Girliean Mathis b.11/6/1889 in Berrien, Co.
Clewiston (Hendry Co.), FL and is burried in Poplar Springs Cemetary. & Matthews named James that I can find no thread connecting any of them to our James. Thank you for your response to James Mathis of Berrien Co.
before he came back to Berrien Co. & married Girlian Hall. Through my inquiry I have received a lot more information. Moore B. approx 1819. Both born in Ga. not sure where. They were married in Dooly Co. GA Apr. 15, 1852.
and his first wife (common law) Sarah Ann Miller, and Jbaldauf.FTW. Jacksonville, FL. Married Arinda Cook. of James M. Mathis) Sarah Mathis Miller. "JIM MATHIS ON JULY 3, 1879 IN WORTH CO., GA MURDERED BRYANT (BOB) SLAUGHTER. married Girlian Hall. We believe they had 9 children that lived. Girliean Mathis was my grandmother. The is some question that William Caleb Holloway may have also been married to Matilda Elizabeth LEE. I saw on the Internet that they were both buried in Butler Alabama. Update; I don't think these were the same men. One lived in Butler the town and the other lived in Butler county. Butler is not in Butler county. 1635 Ship "Elizabeth and Anne" bound from London England, arrived Boston in midsummer with 102 passengers among them were: John HOLLOWAY age 21, Robert JEFFREYS age 30 with wife Marie age 27 and children Thomas age 7, Elizabeth age 6, and Mary age 3. The maidservants for the Jeffreys were Hannah DAY age 20 and Suzan BROWNE age 21. John BORDEN, age 28, was on the ship with his wife Joan, age 23, and their children, Mathew, age 5, and Elizabeth, age 3. 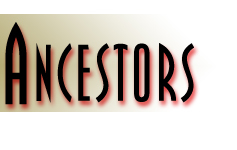 It has not been proven that these Holloways, Jeffreys, and Bordens were connected to our family, but through the generations several marriages have taken place between these family names. 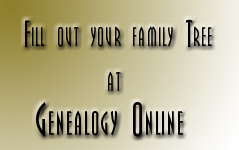 All three families settled in neighboring counties of Mississippi and Alabama by the late 1800's. I am searching for connections with Joseph POVEY and his wife Ann LEWIS from the parishes of Tortworth and North Nibley, Gloucestershire who were two of my gt-gt-gt-grandparents. They married at Tortwoth, Gloucestershire in 1772 and had six known children - William POVEY, Elizabeth POVEY, Sarah POVEY, George POVEY, Thomas POVEY (my gt-gt-grandfather) and Hannah POVEY. i: Fulton MS Itawamba - Liberty Grove Bapt. Cem. i: Hamilton AL Marion - Hamilton City Cemt. i: Hamilton MS Monroe - Center Hill Baptist Cem. Isaiah Wesley Holloway was born October 15, 1830 in Carroll County Georgia. His parents were John Holloway and Dorcas Beck Holloway. Isaiah had two marriages which produced a total of fourteen children. He lived in Randolph County Alabama for many years until about 1900 when he migrated to Marion County Alabama. Some of his family migrated to the adjoining Itawamba County Mississippi. He was a farmer all of his life. Isaiah's son, James Isaiah, stated he remembered traveling with his father by wagon from Marion County to Georgia to visit relatives, a one way distance of some two hundred miles. John Holloway, Sr John Holloway was born 1800 in Georgia. He married Dorcas Beck August 11, 1823 in Gainesville, Hall County Georgia. They were in Carroll County Georgia by the 1830 census. The 1842 Tax Digest of Carroll County stated John lived in the 11th District and had 202 acres. John and Dorcas had 9 children in their household on the 1850 census, and this number grew to 12 by 1856. He moved to Randolph County Alabama between the 1860 and 1870 census. Four of the children were still with them in the 1870 census of Randolph Co. Alabama. John died sometime around 1875 as his land was being auctioned in April 1875. Dorcas was living with her youngest daughter, Cynthia in the 1880 census. John and Dorcas are buried in the Bradley Family Cemetery near Wedowee, Randolph County Alabama. Their graves have unmarked stones. The land has a marker that indicates: "H.S. Bradley purchased this land in 1887." The Bradleys have no connection to John and Dorcas. The land was probably purchased by them after Dorcas died and her children divided the estate. This information was taken from talking to people who lived in Wedowee and had been told to them by their ancestors who lived there before them. The Courthouse burned in 1897 so there are no wills or deeds available for John and Dorcas. 16 i. William B.3 Wagnon, born 1862 in Morgan Co, GA, USA. 17 ii. Georgia Ann Wagnon, born 1865 in Morgan Co, GA, USA. 18 iii. Daniel Wagnon, born 1867 in Morgan Co, GA, USA. 19 iv. Elizabeth Wagnon, born 1870 in Morgan Co, GA, USA. 20 v. Elias Wagnon, born 1870 in Morgan Co, GA, USA. 21 vi. Barton E. Wagnon, born 1872 in Morgan Co, GA, USA. He married Lena Lindsey. 22 vii. Martha Josephine Wagnon, born 1874 in Morgan Co, GA, USA. August 1969 in Bostwick, Morgan Co., GA, USA. 24 ix. Lula B. Wagnon, born February 1878. 25 x. Lovie P. Wagnon, born January 1880. 27 xii. Calvin M. Wagnon, born December 1884 in Morgan Co, GA, USA. Mama, (Frances Helen Holloway Taylor Dyer) was named after this Frances. Is said to be full blooded Cherockee.